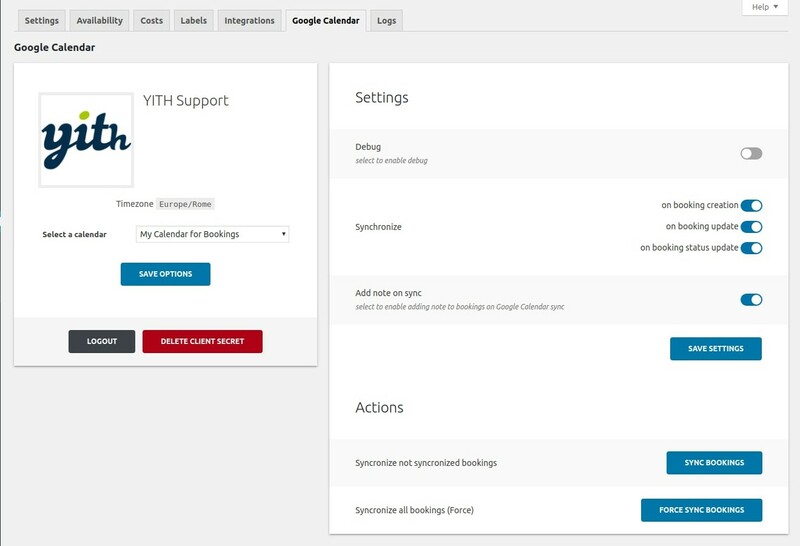 YITH Booking for WooCommerce is the plugin you are looking for! 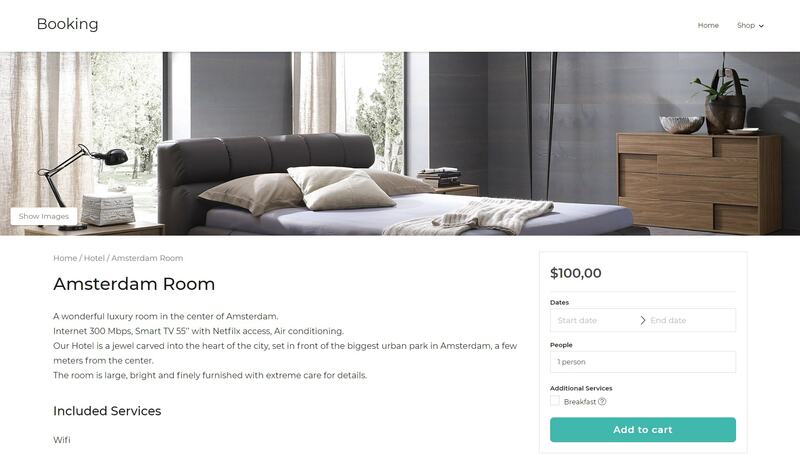 Built under direct request by our many customers, YITH Booking for WooCommerce integrates a regular e-commerce store built using WooCommerce with a simple booking system which can be used by both customers and vendors: this is ideal for all of those professionals who cannot base their business on sales alone. 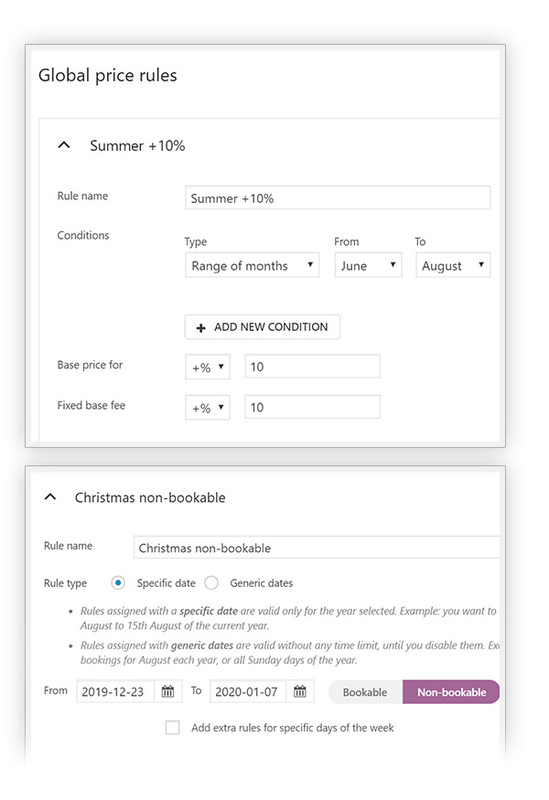 YITH Booking for WooCommerce is a plugin developed for estate agencies and travel agencies, but not just for them! 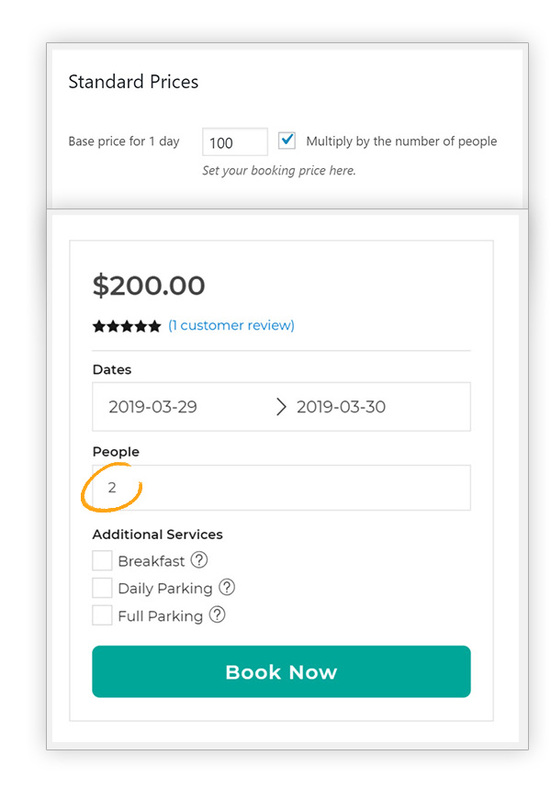 Hairdressers, doctors, business consultants and all of those who can benefit from a booking system for travels, items or dates should try it out! 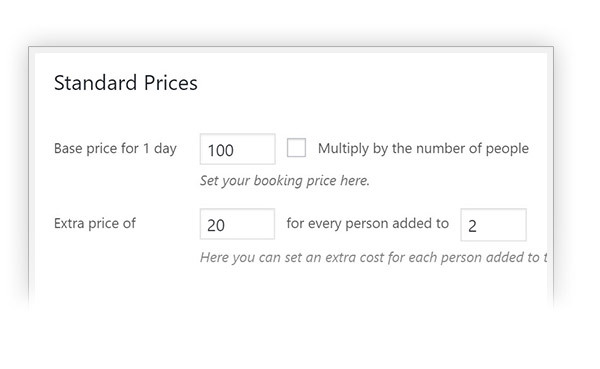 Boost your sales starting now thanks to an easy and efficient booking system! 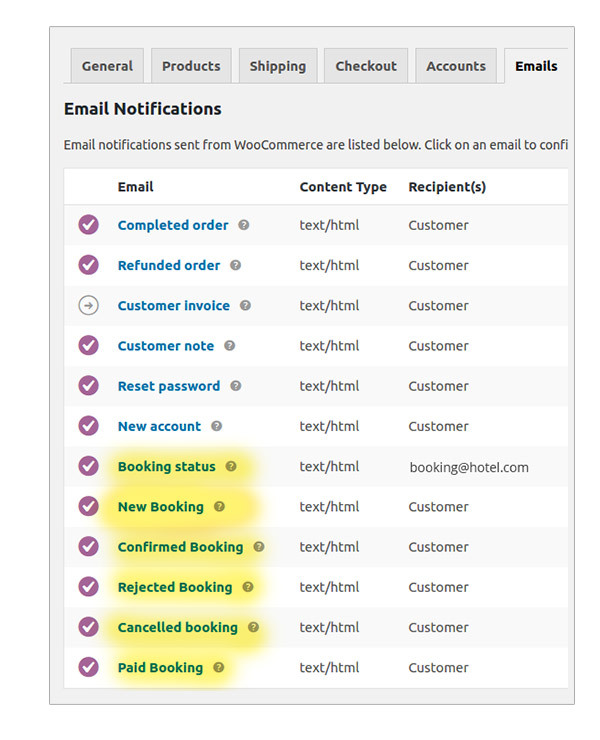 YITH Booking and Appointment for WooCommerce was one of our most requested plugin, which is why we were able to shape it around your needs! 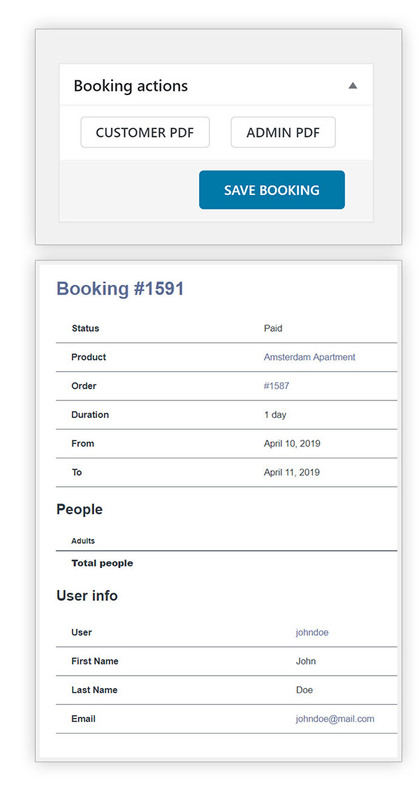 YITH WooCommerce Booking also allows you to perform targeted searches on your website, using advanced search filters such as data, number of bookings, location, and services. 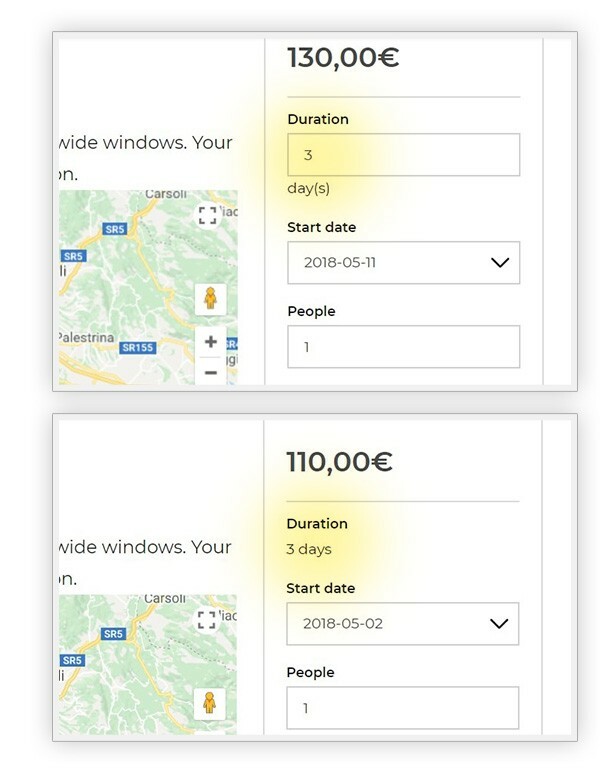 You will have a clear and effective view of the bookings in your website and have the chance to arrange your requests using a number of filters such as date, period, checkout date, name, family name and much more! 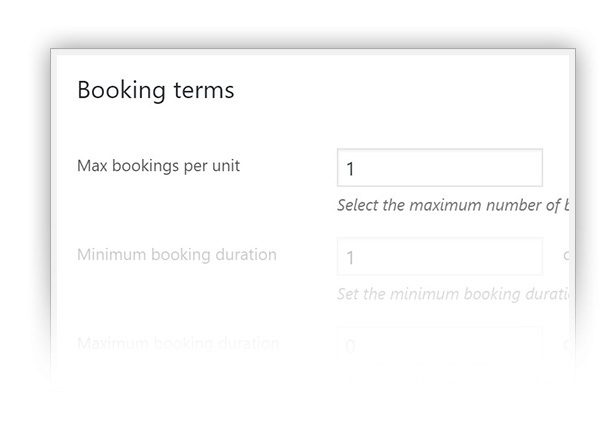 You will also be able to export the bookings in your website in CSV, ICS, or PDF and see the full schedule of your work! 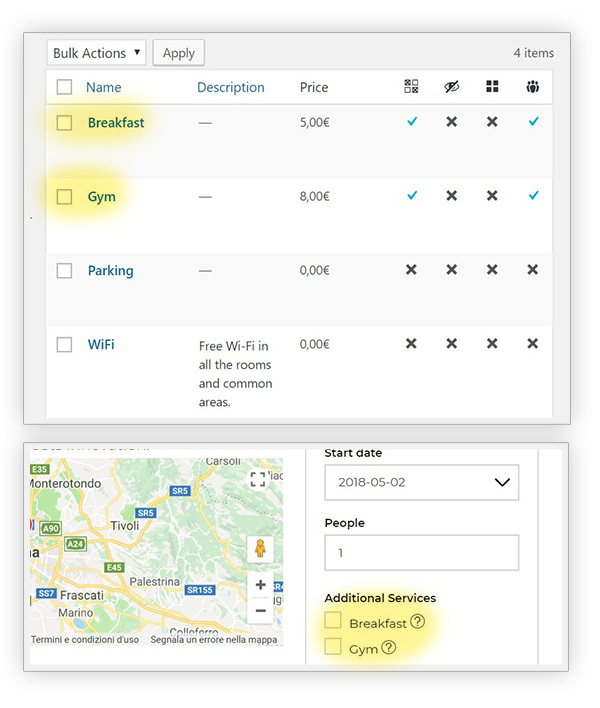 This plugin also offers many other features that will help you customize and optimize your website, such as a specific way of handling your booking emails, the chance of adding a map, a detailed booking checkout system, an included booking theme, Google Calendar and the synchronization with external booking services through ICS. 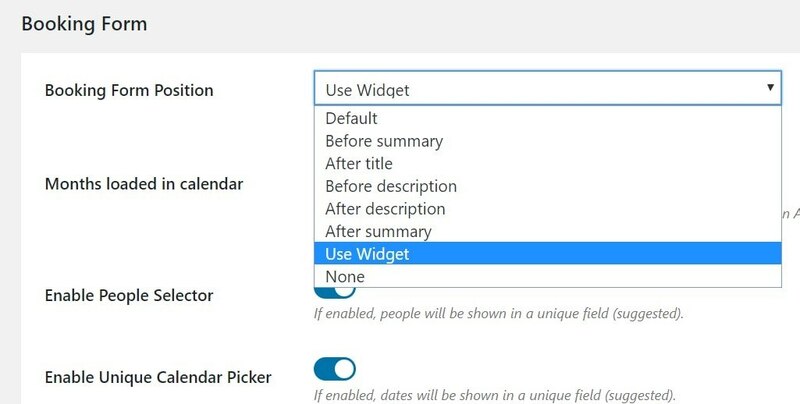 New - possibility to set "allowed start days"
Plugin is perfect, theme I do not like so muchYou really need to sit down and take time to set up the plugin, there are so many rules and options, but once you get it it goes fast. 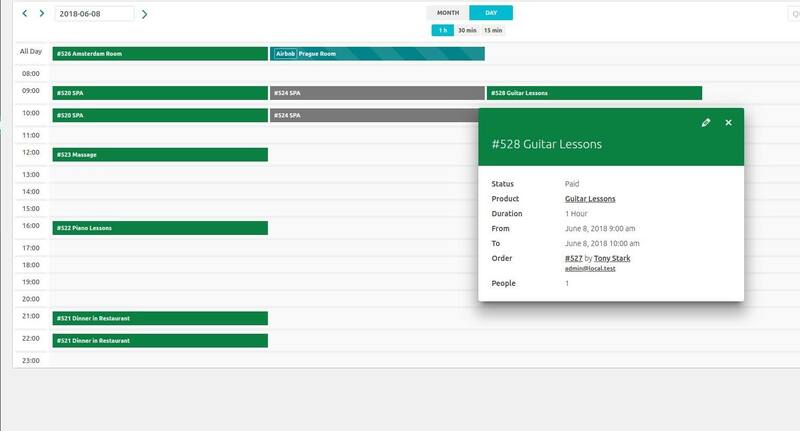 The plugin and the options are great, very good. 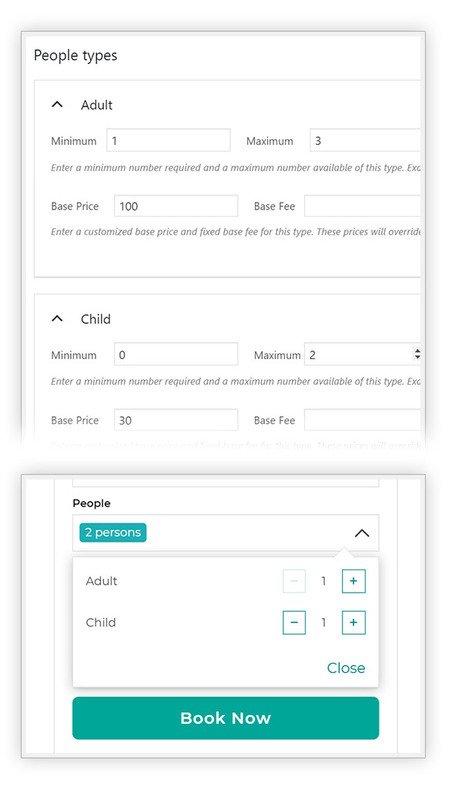 I only do not like the theme, it is unfortunate that there aren't other themes inside the plugin you can use. Hi Liam and thanks for the nice comments. We are always happy to hear that our customers are satified with our product. 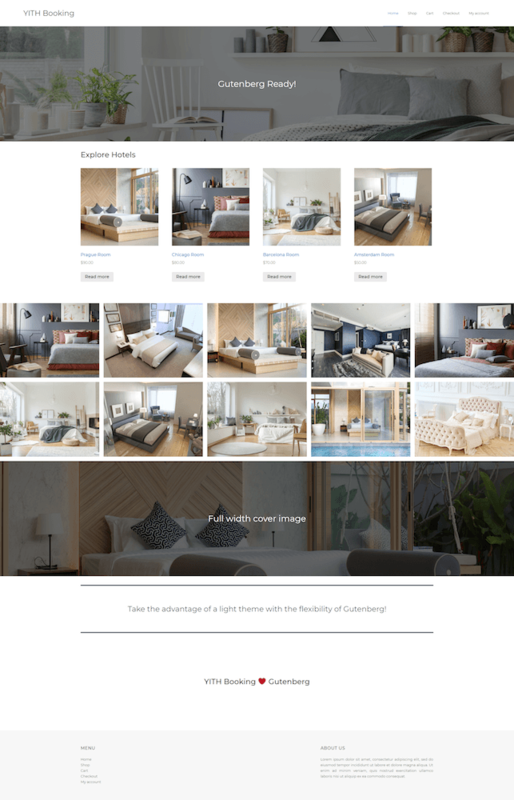 With regards to the theme, you can also choose to use the default WordPress themes or any other theme of your choosing (as long as they follow the WordPress and WooCommerce guidelines they should be compatible). 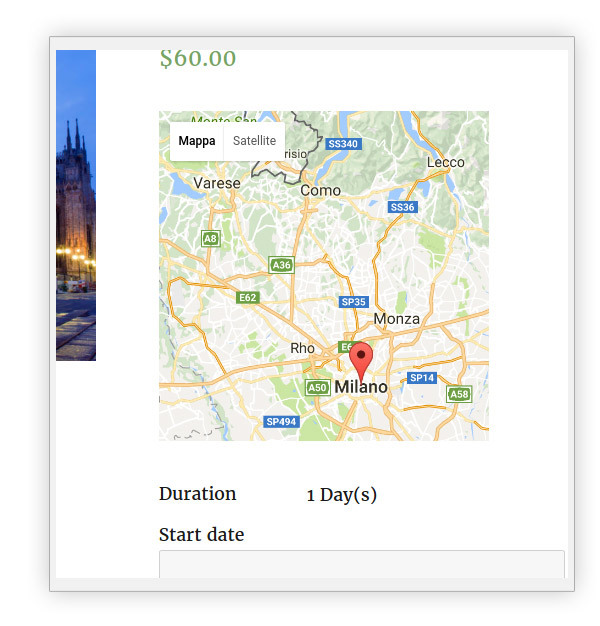 You are not limited to only the booking theme included in the plugin. 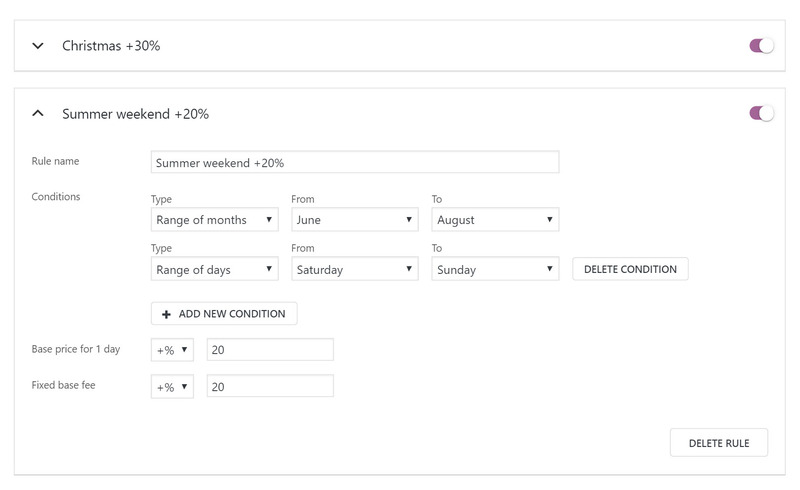 Constantly adding features!I love this plugin and how many features it has, it just keeps improving every month! FantasticI love all your products, what else can I say? Totally satisfiedI'm so satisfied with this plugin and my purchase. I acknowledge that this plugin is expensive, but it's worth every cent.  It has lots of options, a marvellous theme, reliable and helpful support, and it's continuously improved. Thanks for this precious product! 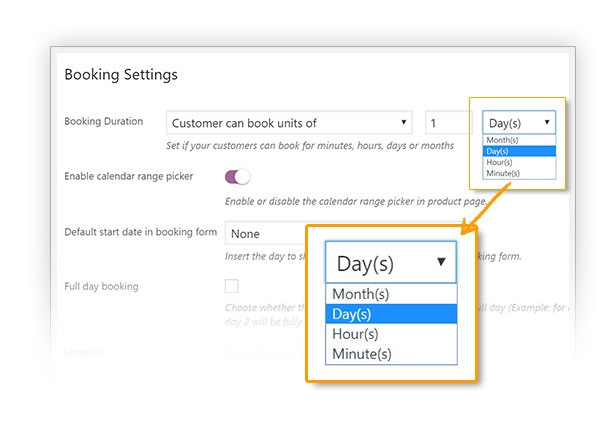 Yes, this is possible, customers can pick a date from a calendar. 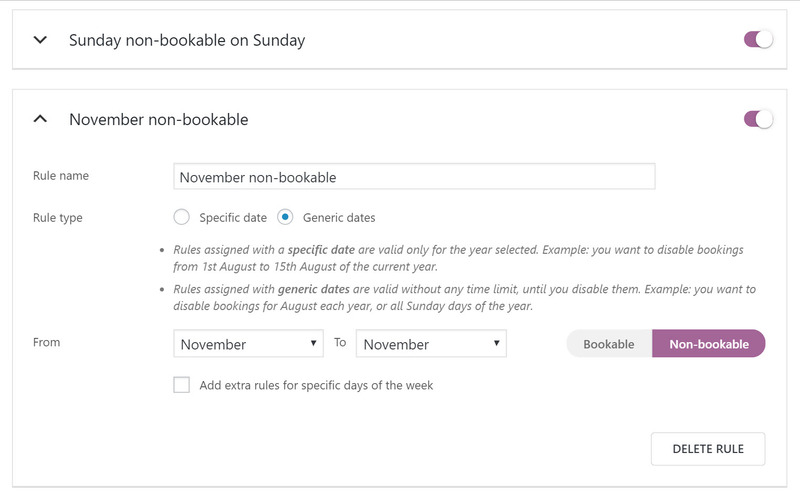 Yes, the calendar will show available (clickable) dates and unavailable (greyed-out) dates as well. Which add-ons exactly do you want to show? 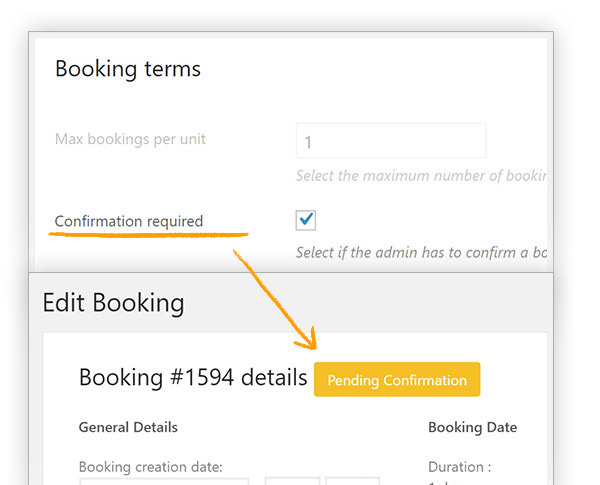 Our YITH Booking plugin includes checkbox add-ons that you can put at your customers' disposable. We call them Services, and you can read more about this here. Hi, Simeon! 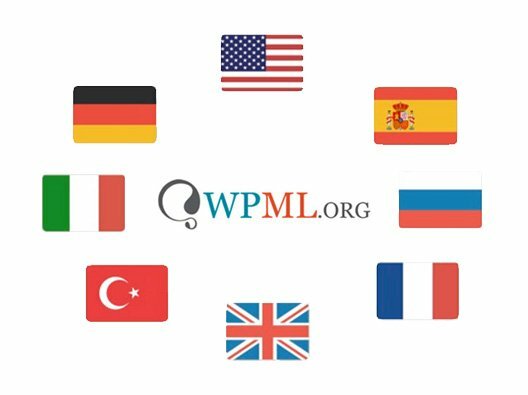 I am afraid the plugin is not currently integrated with Polylang but it's 100% compatible with WPML. 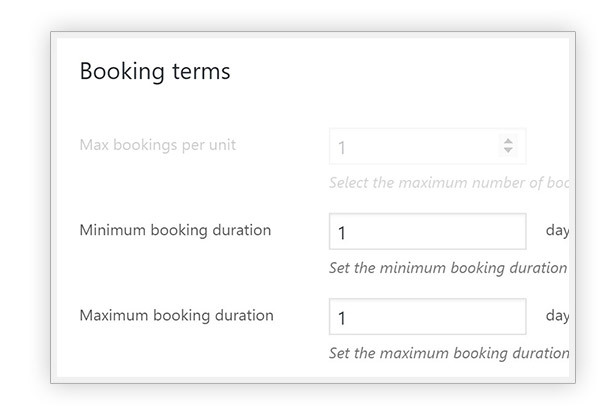 You can use our YITH Booking plugin. 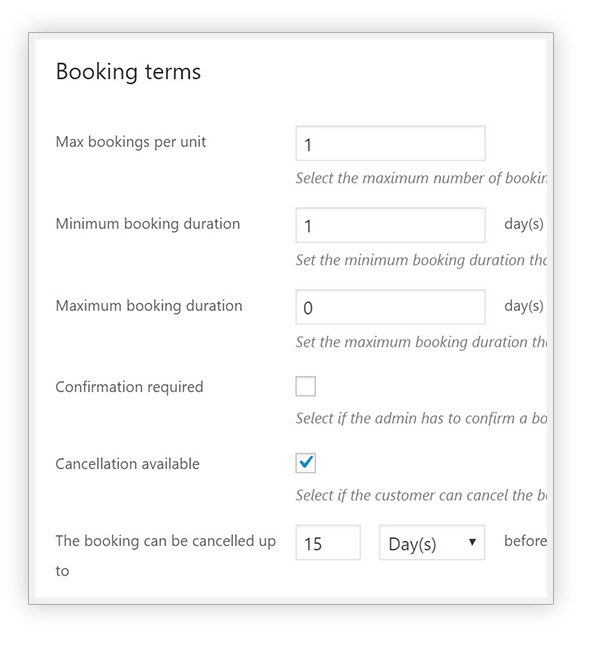 The "YITH Booking Hotel" you see in the Live Demo is made by the YITH Booking and Appointment for WooCommerce plugin. 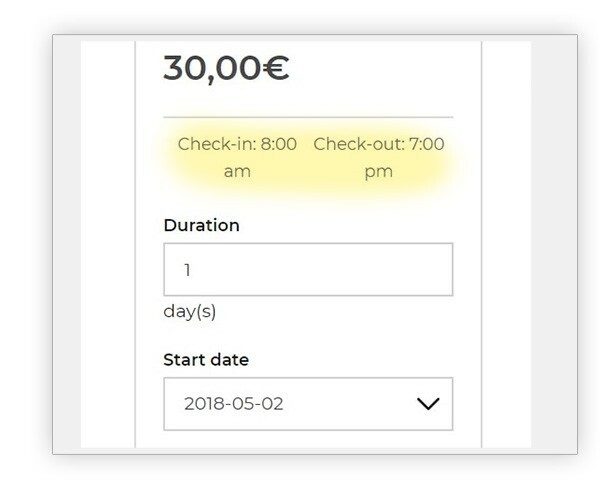 the plugin (if the "Full day" option is not enabled) will consider, for example, from 1st Jan to 2nd Jan as one day; and from 1st Jan to 5th Jan as 4 days (like as hotel bookings). 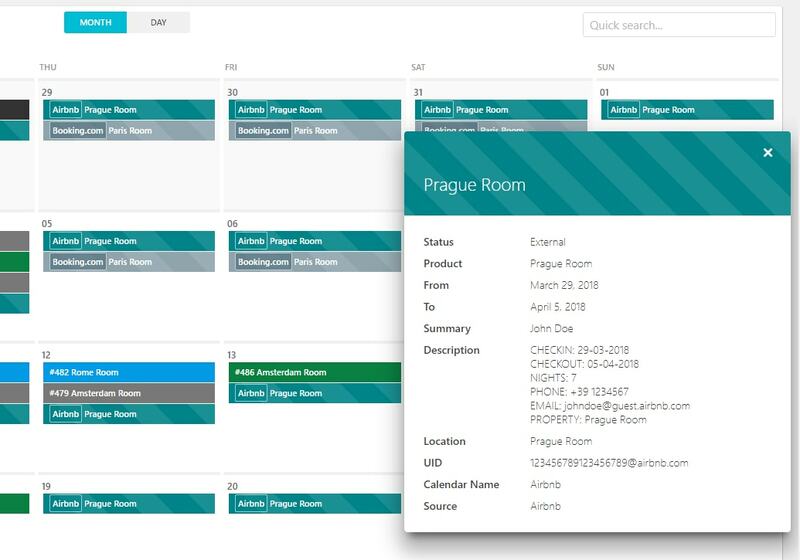 Furthermore, if you want to change the label from "X days" to "X nights" our support team will be able to help you out through support ticket. 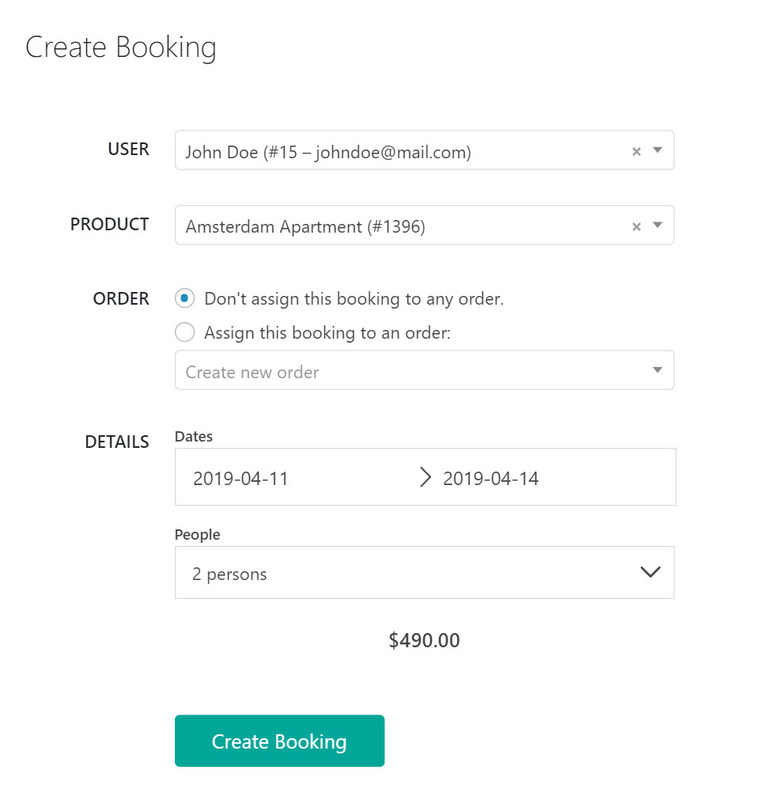 this is not possible with YITH Booking plugin alone, but you might combine it with YITH Multi Vendor where each seller is a technician that can upload his/her own services as bookable products. 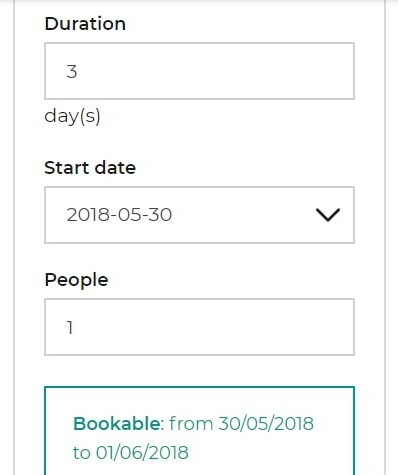 the booking product is a normal WooCommerce product.